First published in 1979. 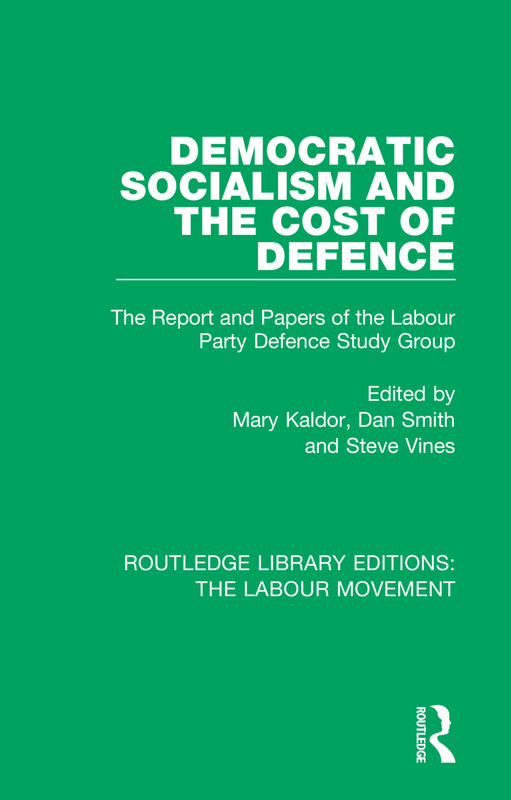 The report of the Labour Party Defence Study Group, which met from early 1975 to mid-1977, represents a unique attempt to portray defence policy in the context of disarmament and the need to restructure and control the institutions of defence – in particular the defence industry. The report presented the fullest study made by any British political party concerning the implications and consequences of its stated defence policy, and embodied an examination of defence from the perspective of approaches of disarmament. At the same time, the search for a new policy in international relations was harmonised with the further development of a new industrial strategy, concentrating upon the potential for converting part of military industry to civil work. This work which presents a distinctive intervention in the general debate concerning defence policy, industrial and technological planning, economic priorities and public policy, will be of considerable relevance to both specialists in each of these fields as well as the general reader.